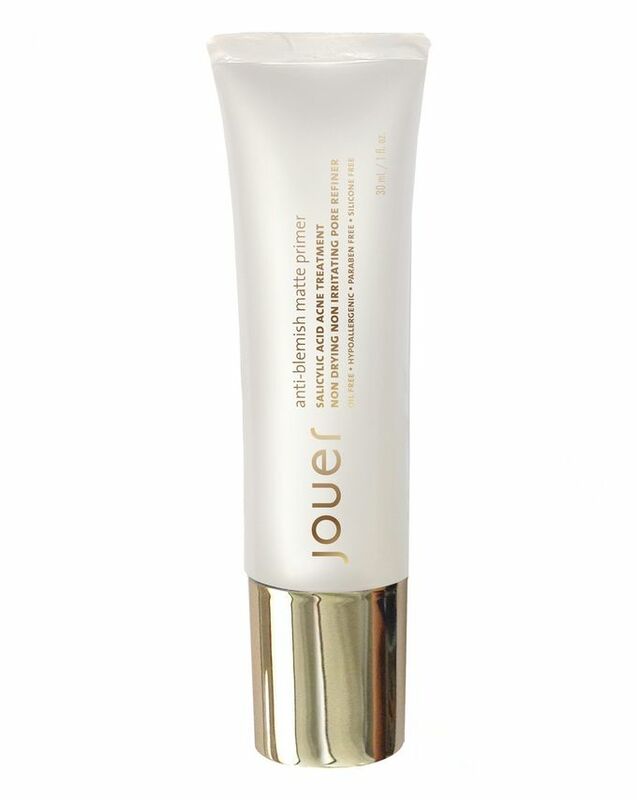 A make-up masterpiece requires a perfectly prepped canvas, and few things do the job better than Jouer Cosmetics’ Anti-Blemish Matte Primer – a cosmetic-meets-skin care hybrid, that instantly perfects while it gradually corrects, so your complexion not only looks flawless, but gradually becomes so! Formulated with Salicylic Acid – which gently resurfaces to unblock pores and alleviate congestion, while battling existing blemishes and helping to prevent the development of new ones – together with Aloe to calm redness and soothe any inflammation, this pre-base complexion enhancer is both reparative and protective; optimising the longevity of your foundation, whilst defending against skin-ageing free radical attack. There’s a brouhaha brewing for Jouer’s newest recruit in the quest for complexion perfection; Anti-Blemish Matte Primer is the ideal partner to the brand’s best-selling Moisture Tints – creating a super-smooth, uniform base for make up, and intensifying the skin-nourishing benefits of its tinted cousin. Enriched with clarifying, resurfacing, soothing and luminosity-boosting ingredients, as well as Vitamin E, Ginseng and Gingko Biloba to provide anti-oxidant protection, the lightweight oil-free formula transforms the look of your skin – neutralising blotchiness and granting a velvety evenness that endures. Renowned for their purist approach to beauty, Jouer steer clear of ‘trends’ and instead, concentrate on the creation of wearable, skin-friendly formulas that enhance what Mother Nature blessed you with. Apply to cleansed skin and either wear alone on good skin days, or as a base for your favourite Jouer 'Moisture Tint'. I purchased this after seeing it recommended by a youtuber with cystic acne, I wasn't expecting much but I travelled hopefully. Within 1 use my terrible cystic outbreak on my chin was less red and inflamed. By the 2nd use the large pores on my forehead look smaller. I'm 41 and acne at my age is no fun and it's worse than its ever been. I've started to apply this product all over my chin and jawbone even when I'm not wearing make up and at bedtime as it's the first product that I have found to help my acne. I came on Cult Beauty today to look at other Jouer products as I'm that impressed. I purchased this after reading other reviews on this site and can't say how disappointed I am. The product makes no difference at all to how well my makeup applies and lasts, I actually think it lasts longer without this product, which is unusual as I do have extremely oily skin, and have also noticed more blemishes have developed in the areas I used this on. Waste of money, would return it if I could. Only good part was cult beauty's fast shipping. I love this primer so much. I have acne prone skin and never has a primer helped to clear my skin and reduce shine like this one. 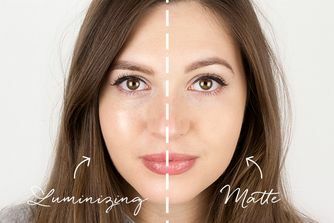 I cant say whether or not this prevents or helps with blemishes, but I was looking for a primer to keep my foundation on longer without getting shiny and this does exactly that ! I have skin that is prone to spots and gets really oily, partly due to the humidity and heat in Singapore, partly due to genetics. I wear this under foundation for nights out to stop it all dissolving after a few hours. The formula does not seem to cause me as much blackheads as other primers full of silicone. Does not keep me matte for hours on end, but then again nothing will in this weather. Only issue I have with this is the packaging didn't survive a flight and leaked primer out the end of it. Such a shame as I wasted so much of this. Might have been a faulty package, but otherwise a great primer. When I finished my first tube I tried other well known branded primers with promise of reducing pore sizes and sadly they did not compare so will be going back to this terrific product. I'm 61 and part of my combination skin woes are large pores on my oily nose/T zone area. This product definitely works for me removing shiny nose and reducing pore size. This is a great natural-feeling primer which doesn't feel cheap like silicone-based primers. The salicylic acid is perfect for pesky spots but as I have dry skin, I add a drop of argan oil for it to suit me and provide a subtle glow. All in all it's a great texture, a little goes a long way, and finished with a good setting spray, it's a good base to use. I live in a super humid climate and have acne prone skin. Until now, nothing helped me - and then I discovered this miracle. It works. It really does prevent new blemishes and reduces shine during the day. Buy it. I am extremely sensitive to silicones and alcohols, and this primer does not cause any reaction at all. A bit of a funny smell but it really does keep my skin matte for longer than no primer at all!